Click here for more Tolkien Lessons. brothers that intercepted Aragorn and the fellowship as they fled from Moria into the woods. 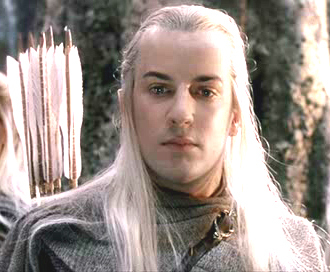 In the movie he tragically died at the battle of Helm’s Deep, which is a big turn form the movies as the elves never came to the help of the men. The quote is a huge source of motivation for everyday living. Tolkien was spot-on with this quote and sometimes I wonder if he was not maybe some kind of spiritual being that through his work and literature fulfilled the purpose of being a guide to those who had no other source of light. A “prophet” or “teacher” to people perhaps? We know the world is full of grief. We know there’s bad things happening and there’s bad people behind most of these. Sometimes things just end-up going completely different to what we expect. There’s hurt and pain and sadness among all these. Tolkien goes further and gives us a glimpse of the other side of the coin; that there’s good as well. That which is fair remains and is there to be seen and experienced. All the grief in the world cannot make it disappear. It is because of the grief that the love is so much stronger. As they get mingled together in a world that is chaotic and crazy the love and fair things of the world grows so much stronger. It’s an upside down/ backwards concept to understand. To see love growing amidst grief. I could not help but find many links between this quote and the words of Jesus. Jesus was famous for preaching the exact opposite to what we were used to. His concepts of being first, serving, humility and love were truly radical. Do we not learn from Jesus that where there is evil/sin/grief there is so much more love/grace. Where sin abounds grace abounds so much more? Jesus told us that there where you would least expect Him to be there He will be. Tolkien gives us the same idea. 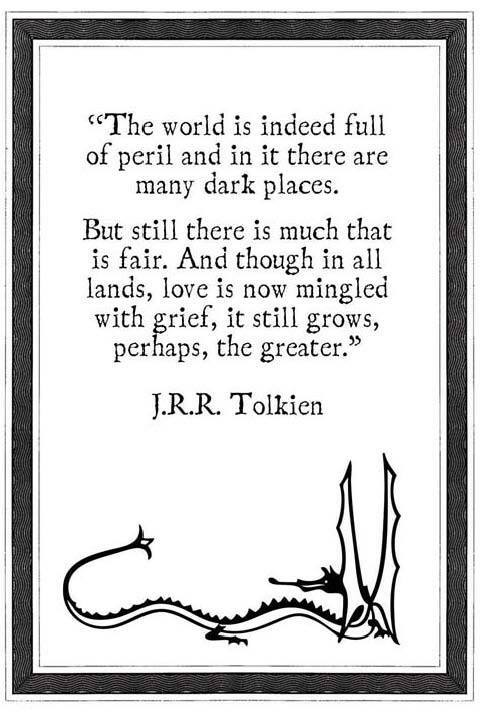 Haldir’s words gives them/us all the hope and confidence that there is good still in this world. It is there to be seen if we care to look hard enough, especially in the midst of the chaos and pain and grief. You can choose today if you want to be a person that looks past the grief and see the love or gets stuck in the grief and chaos of this world. You can choose to look harder to find the love and in that place and choose to give all your power, effort and energy to this love and let it grow not there amid the grief.